A cool day as the rain gracefully falls. The ambiance is gray with bright green accents as you look outside. Perfect day to curl up with a good bottle of wine in front of a massive fire place looking out over the ocean and reading a good thriller. On a cool day with rain what type of wine might you pair with that? How about a super tuscan! These wines tend to be full bodied and meaty. Will warm you up from the inside out. Definitely the type you would want to allow to open up. I recently attended “Italy in the Valley” in Oregon. This is a fun event hosted by Canas Feast Winery with beautiful views of rolling hills expanding forever. 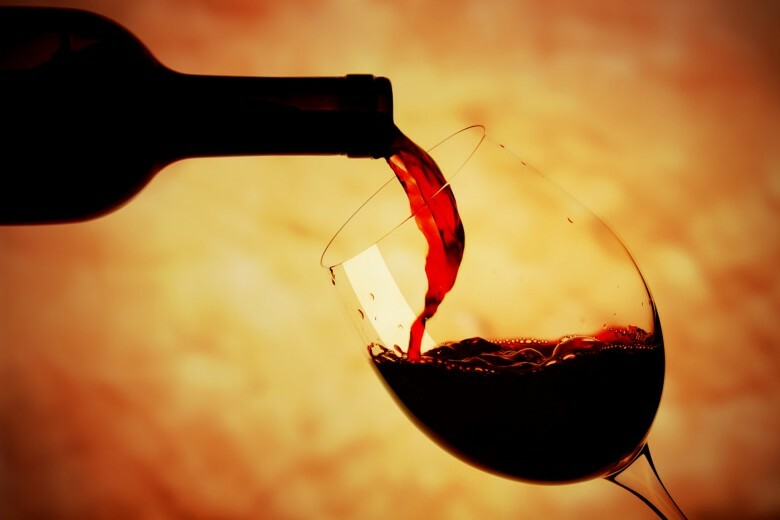 This event features wineries in the Willamette Valley producing Italian varietal/style wines. There were definitely a good handful. I was lucky enough to interview a few of the winemakers before the event kicked off. I spent a fair amount of time speaking with Alfredo Apolloni from Apolloni Vineyards. You could already tell he had passion about wine, and the culture behind the Italian wines. Besides, he is Italian and yes, he could definitely tell you some great Italian family stories. He learned from his Grandfather when his family moved from Italy in the ’70’s. They started growing grapes and focused on Pinot Noir for the business but would have patches of Italian varietals for experimentation. But also to remind them of their heritage and family. I did get a small scoop on a few varietals he is experimenting with and I look forward to tasting those in the future. 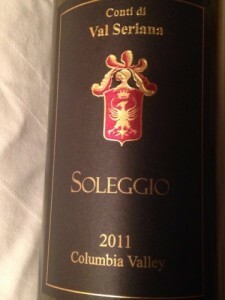 At the event one of my favorites from his winery was Soleggio which means sunshine in Italian. This wine was lip smacking delicious. A super tuscan blend. Super Tuscan blends have do not have to contain Sangiovese. These wines were created because the Italian winemakers were frustrated with the strict guidelines they had for making chianti and wanted to break away from those restricts for more flexibility but did not want to lack quality or the sense of quality such as the vino da tavola, or “table wine”. Therefore, they came up with super tuscan. These blends can have Sangiovese but they also are mainly comprised of Merlot. Some might have Petit Verdot, Cabernet Sauvignon or Syrah blended together. Soleggio from Apolloni Vineyards is a blend of: Sangiovese, Syrah, Cabernet Sauvignon, and Merlot. I would say this could be a lighter Super Tuscan but it still has meat and a backbone. Very delicious wine smooth with a hint of tannin on the back end. But the overall finish was very enjoyable. Definitely something for a cool day with a plate of figs and dark chocolate.